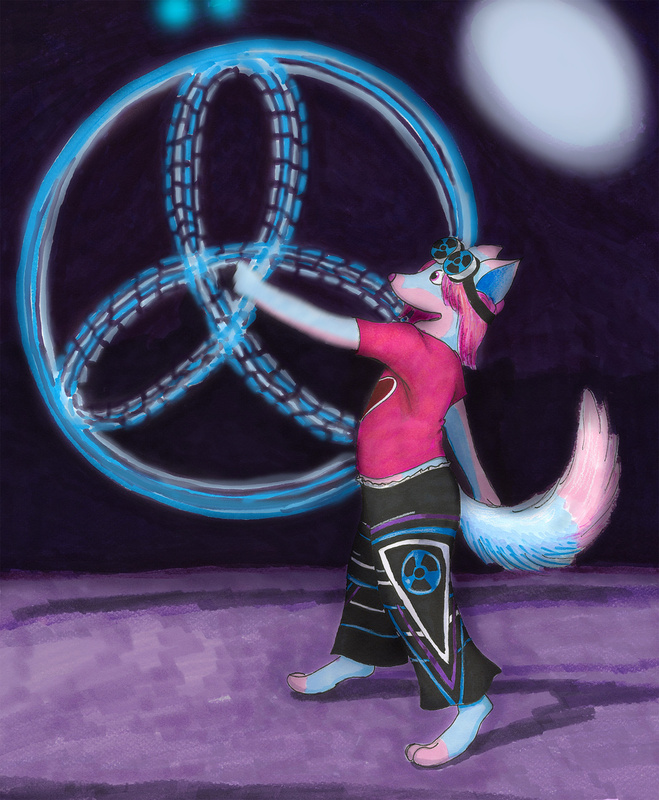 Commission for DubCub featuring his fursona showing off his glowstring-fu skillz at a rave. Is he wearing a diaper? If so, he's very confident about his image for sure. He doesn't care who sees. The art comes first I guess.